For a long time I had strange feelings about the ELKA Synthex. It sounded very powerful, wide and brilliant on the one side, and sometimes too brilliant, somewhat too clean and maybe too digital on the other side. No wonder I had quite a few Synthex – bought them, sold them, bought them, sold them. As usual discovering the instrument’s value happened months after selling the last one. My own soundfiles convinced me that this analog beast is a class in its own. So I looked out for another Synthex … and, of course, as soon as you really need something, you won’t find it. It took almost half a year, but finally I got another Synthex – from that area where ELKA originally had its production factories (Anconca, Italy). Update Nov. 2012: The Elka factory was in Zona Squartabue, Villa Musone Recanati, which is southwest of Ancona, to be exact. Thanks to Marcello for this detailled information. 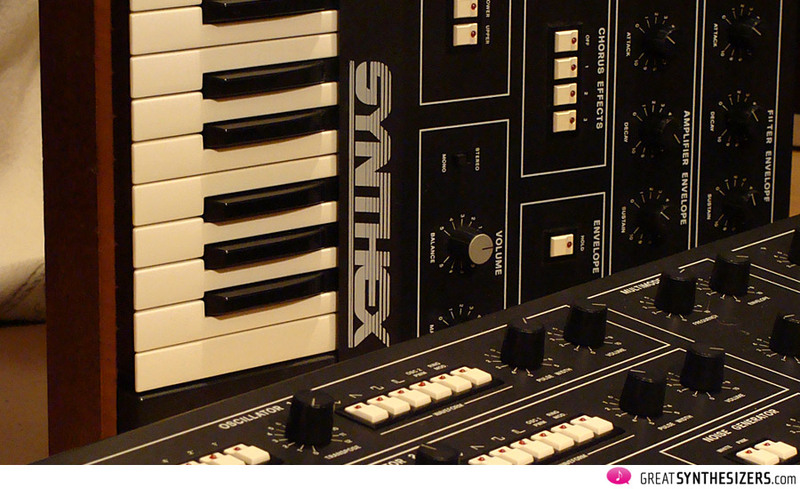 Today I’m of the opinion that the Synthex is among the Top 10 synthesizers ever made. That sort of analog/digital sound I hated (and loved) for many years is marvellous to my ears today (interesting: sensitivity and favour of hearing changes sometimes quite extraordinary within a couple of years). If you’re looking for an aggressive and uncontrollable beasty analog synth, you might be happier with a Jupiter-8, Oberheim OB-X or Prophet-5. But that specific clear, powerful and still warm sound character coming out of a Synthex is a class in its own. As you might know, ELKA never produced professional synthesizers. Not until the Synthex. It was way back in the early 80s when the company recognized that they needed a change in production line. Organs, Hammond-substitutes and cheap electric pianos were out of fashion. Just like Crumar, ELKA decided to establish a new production line for professional keyboards – in hope to survive. Well, they had to close in 1988, so it didn’t really work out. 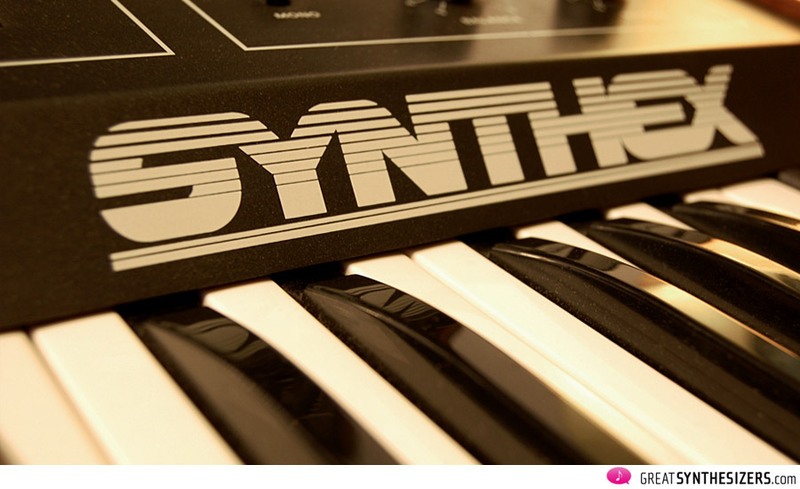 However, thanks to that marketing plan the Synthex was produced – what a luck! Mario Maggi developed this 8-voice 16-DCO synthesizer. He is being described as modest and at the same time very skilled technician living in the capitol of Italy. Many instruments were realized under his supervision, such as the Bit-One, Bit-99, some interesting modular synthesizers, and … the Synthex. It happened like it always does: Mario Maggi was hired to produce and check the first 100 Synthex – then ELKA told him to leave. The production went on from 1983 to 1985. 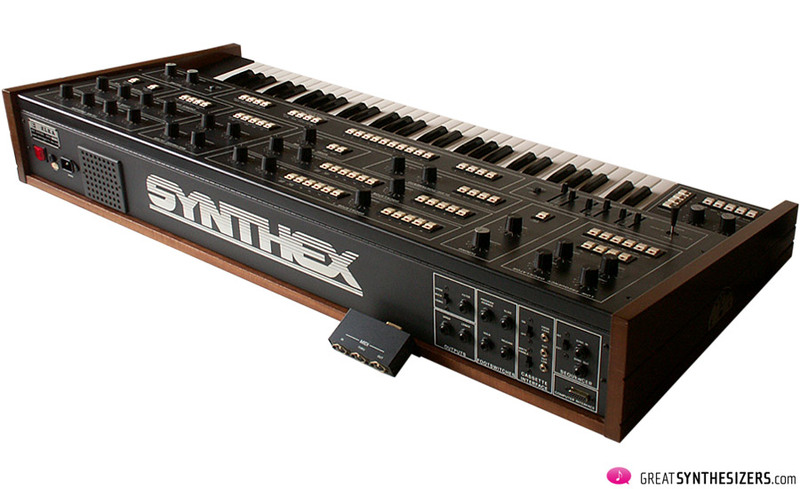 Beside some smaller technical upgrades (such as basic MIDI) and different coloured wooden side panels, the Synthex didn’t change very much within its production run. Of course nobody knew ELKA as synthesizer-company, so no wonder problems appeared quickly when trying to establish this instrument. 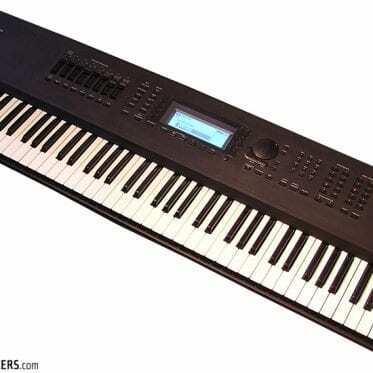 (Crumar at least changed its name to BIT when producing the first MIDI keyboards…). Beside that, 1983 was no good year to sell any keyboard except for the Yamaha DX-7. All together ELKA was not very happy with the Synthex, what a shame. Production starting in 1983 ended two years later in 1985. How many Synthex were produced? I have no exact information, but I’ve been watching the instruments on the used market for at least 15 years. It’s interesting that there seems to be no instrument with a serial number lower than 500. (The lowest Synthex Ser. No. I’ve ever seen is 710). 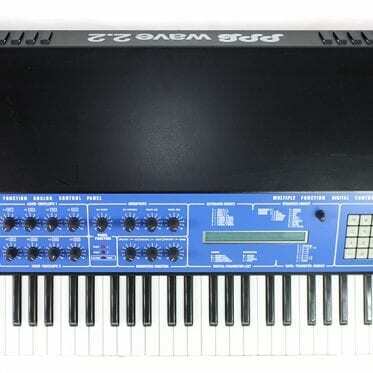 The Synthex with serials around 700/800 were early instruments (from 1982/83) not equipped with MIDI, but many of them were later retrofitted by ELKA. So we can assume that main production started with Ser. No. 600 (or 700?) and ended at about 1600 – which means a total of 900 – 1000 instruments. Which makes the Synthex a very (very!) rare bird. 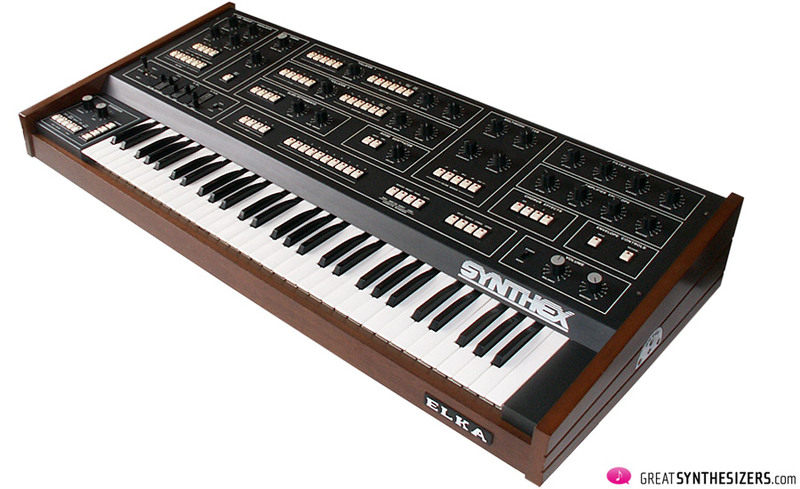 There was one last Synthex ELKA made for Stevie Wonder just before the company closed its doors in 1988. This special Synthex was put together by using spare parts of broken-down instruments that were sent back to the ELKA. In general Italian synths have no good reputation regarding reliability. 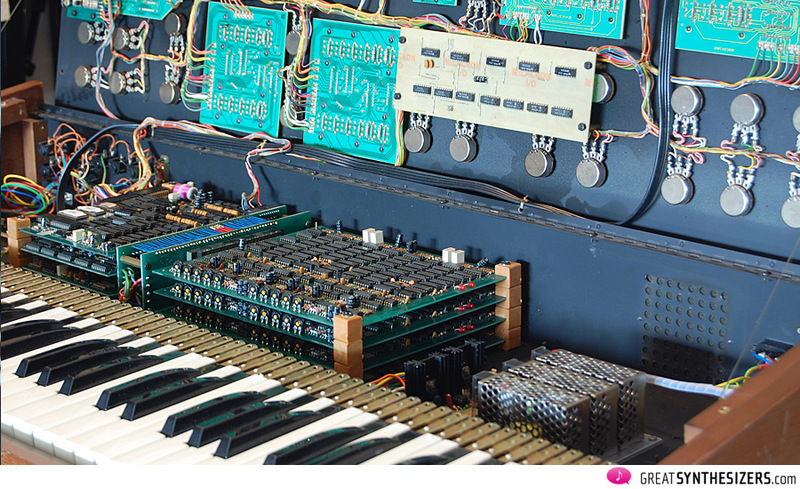 Look at any Siel, Crumar, Farfisa instrument … most of them offer medium or poor quality hardware. The Synthex is one exception! Great knobs, solid case, pleasant keyboard (much better than any Oberheim or even much better than the Jupiter-8!). Still the Synthex is a littlebit unreliable, that’s true. No wonder – there are 1000 ICs inside! So breakdowns apprear every now and then. The good point: 99% of the electronical parts are standard parts easily available, even today. 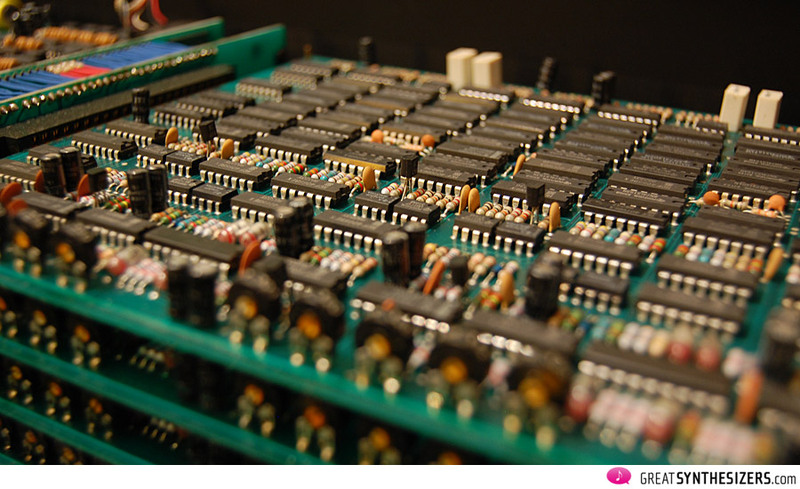 Spare parts is an important point with all vintage synthesizers. What happens if a display of your Matrix-12/Xpander breaks down? What if any of those special chips in a Prophet VS needs to be replaced? And what about the Yamaha IC used in early polyphonic CS-synths? 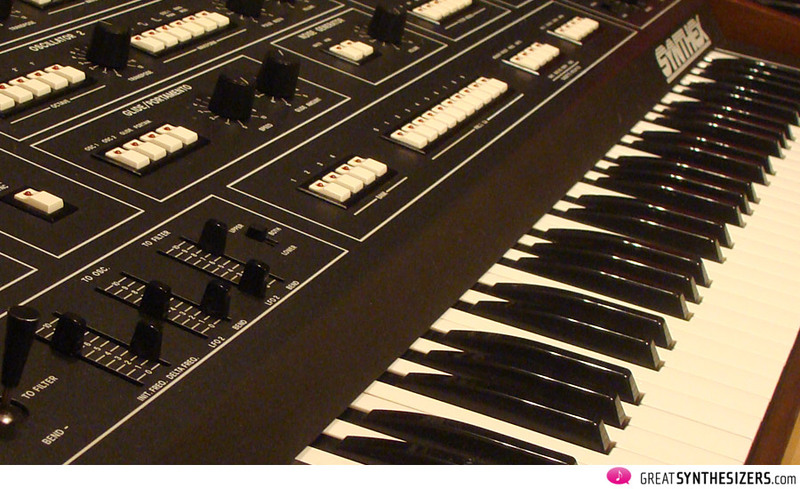 These and other vintage synthesizers are of rather high risk … not so the ELKA Synthex! Very early models do not have that little fan housing like all other Synthex do. Instead, the fan guard – round circles – are drilled directly into the metallic backside of the instrument. Not important, but interesting. 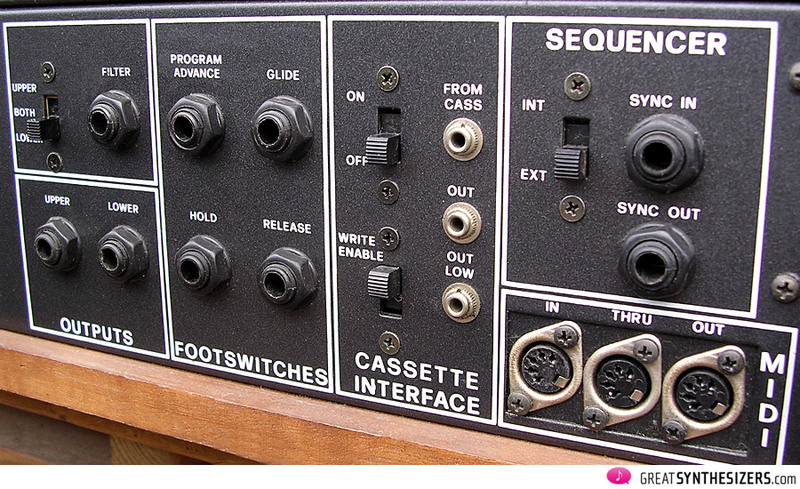 Further, these early Synthex only contained the sequencer in/out, but no additional interface. Next step: the Computer Interface joined. First it only appeared as blind metal plate with lettering but without any electronic inside. Most Non-Midi Synthex feature the interface dummy. Well, it was no joke. At least these instruments could have been retrofitted with the above mentioned interface, that held the MIDI Break Out Box in addition.Finally the “Computer Interface” was implemented as standard. 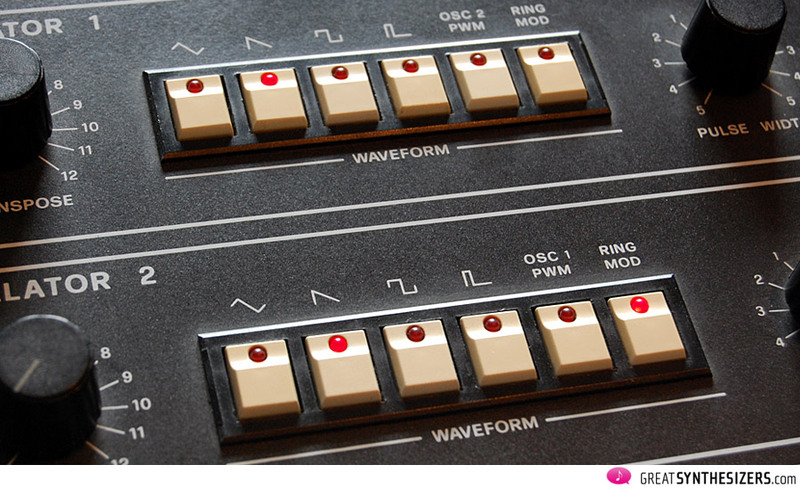 It was a simple port that was hooked to the extra box containing MIDI IN/THRU/OUT (MIDI break out box, once again). From now on, MIDI was standard with all Synthex instruments. Most Synthex feature this “Computer Interface + MIDI Break Out Box” solution. The last 300 instruments simply left out the computer interface. Instead, MIDI was implemented directly in the instrument’s backside. Sadly the simple MIDI functionality did not change, what a shame. 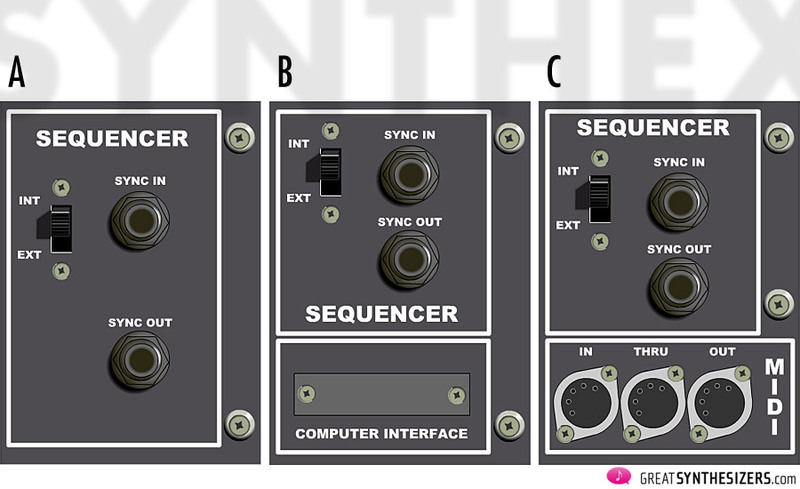 Picture: different interface stages of the ELKA Synthex. 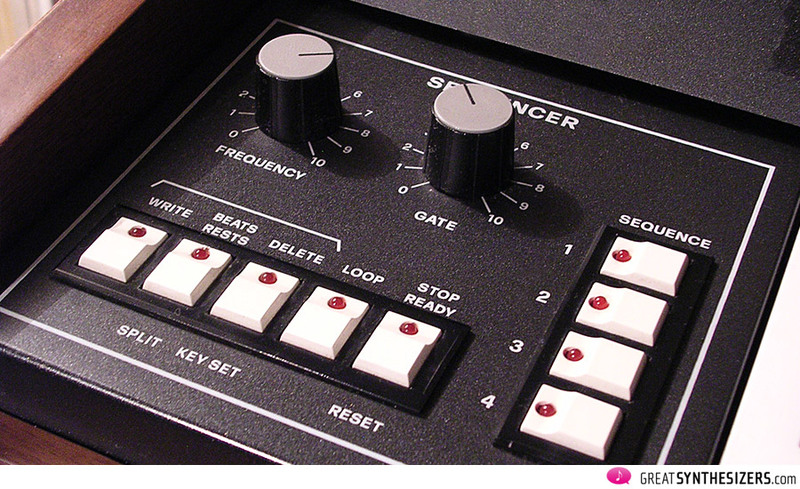 Early models (A) only featured the sequencer interface. Next version (B) – computer interface with MIDI break out box – went through different way of lettering: SEQUENCER and COMPUTER INTERFACE sometimes are written above or below (as shown) the connections. Finally, the last version (C) with MIDI implemented directly in the instrument’s backside. One screw needed to be re-positioned, and the MIDI ports were fitted in a 45° angle to get along with limited space. 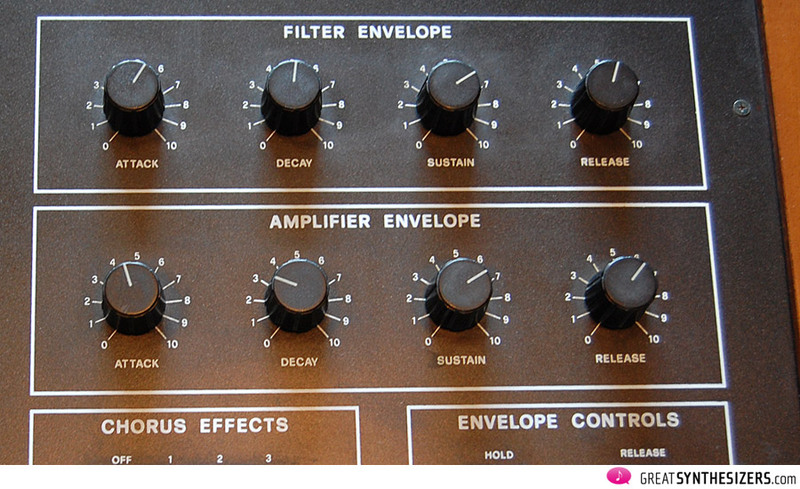 I’d like to deal with four aspects of the instrument: OSCILLATORS, FILTER, ENVELOPES and LFOs. … offer vast possibilities and they’re great to use. Scaling is simply realized via nice switches. 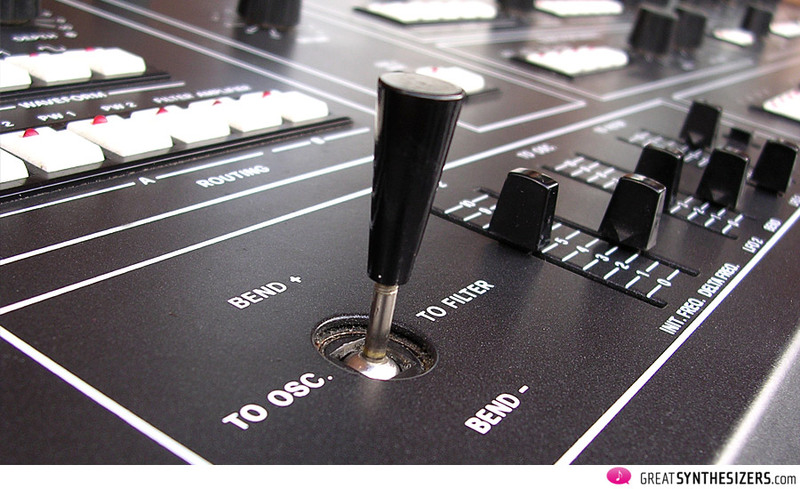 Further, each OSC can be transposed within one octave (rotary knob). Waveforms are selected via switches again, including PW crossmodulation and a digital ring modulator. … is one jewel of the Synthex. This MultiModeFilter stands out against any Prophet-5, Jupiter-8, OB-X/Xa/8… and many other polyphonic analog synthesizers. But do not be confused: “Multimode” tells us there are different types of filter – like on the Oberheim Xpander/Matrix-12. There are NO different filters, there’s only ONE filter! However, beside LowPass, you get BandPass (two different types!) and HighPass as well. Especially Band- and HighPass offer great and unexpected musical power at high filter resonance settings. 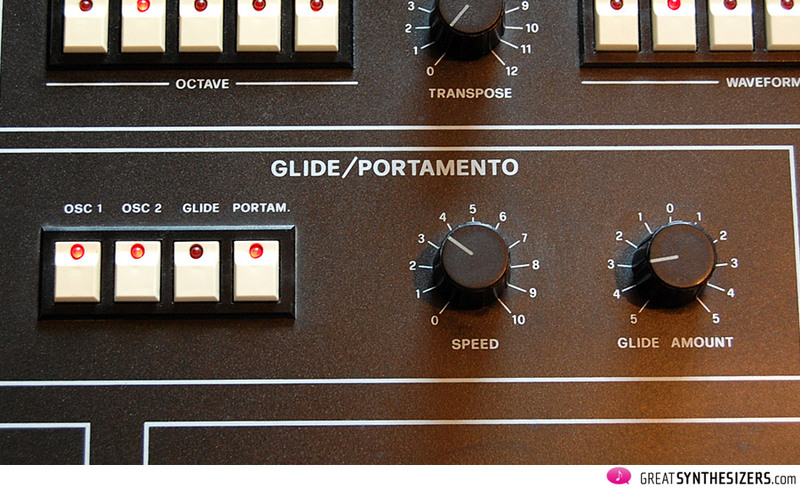 … are miles away from Prophet-5, Jupiter-6/8 and OB-X… well, they’re quite slow! At least Prophet-5 and Jupiter-6/8 are much faster, no doubt. But who ever knows the soft and brilliant Synthex sounds will learn to accept those rather slow envelopes. Somehow they fit to the instrument’s overall tonal character. … are quite flexible, really. To be exact: there are two (!) LFOs. That’s one reason why a Synthex is capable of quite impressive FX-noises and interesting sweep-sounds. 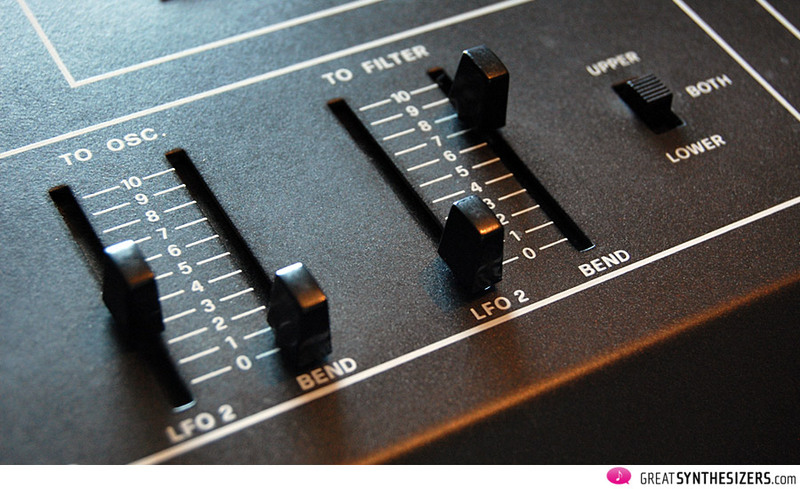 Like on the Jupiter-8, LFO 1 offers different waveforms. Modulation routing goes either to OSC 1, OSC 2, PW 1, PW 2, FILTER or AMPLIFIER. LFO 2 is activated via the joystick. Routing goes to FILTER or both OSCILLATORS. It offers four tracks. 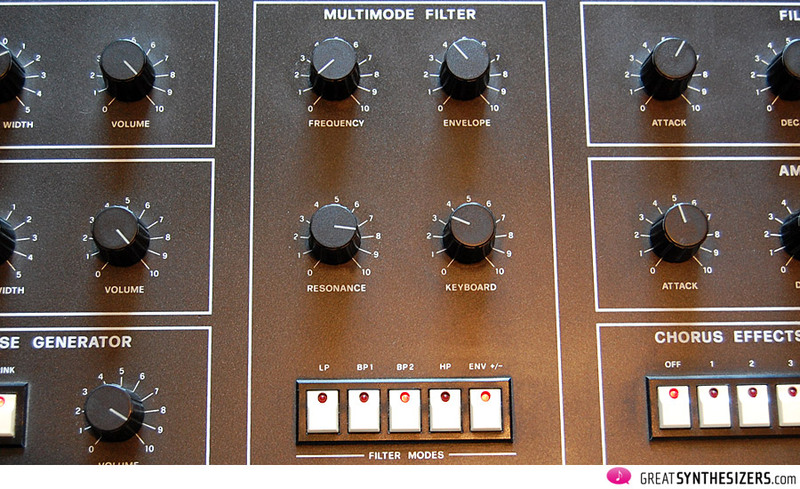 Later Synthex instruments even feature multi mode – two sounds can be assigned independantly to any of the four tracks. Triggering the sequencer by an external device – it’s great! Especially when using a rhythmical complex trigger signal. Now imagine what happens when your four Synthex-tracks have independant track length& let them be triggered by another independant source of varying length… you CAN’T produce boring music with those features..! A friend of mine got his Synthex some months ago. When visiting him, he demonstrated the instrument, and well … the synthesizer’s stereo function didn’t work at all! “You don’t know what the Synthex really sounds like” I told him. Be assure: using this instrument in double mode is one of the most important musical aspects (preferable with the same sound twice!). You end up with a four-voice, four-DCO synth. One sound will appear left, one right. Just as stereo works, you’re right. But: the Synthex detunes both parts! Slightly, but it detunes both sounds. So you get an unbelievable large, fat sound. No jupiter-8 (despite offering stereo outputs as well) gives you this wide sonical impression. I guess almost no other polyphonic analog synth can beat the Synthex stereo-mode. Oberheims are nice, positioning each single voice in stereo panorama is a great feature (hello OB-X/Xa/8 and Matrix12/Xpander), but still: the Synthex-power is unbeatable. No strings offers that wide sonical impression. And well, if both sounds only differ slighty in LFO speed, great stereo-sweeps are realized immediately. Excellent stereo-sounds, that’s what I want to say. By the way: if stereo is activated (there’s a small switch for it) when using only ONE sound, the sound appears randomly on the left and right channel… modular freaks would call it “sample/hold-panning”. Another small, but great detail of the overall Synthex concept. If the Synthex has a fault, it’s that its built-in fan reminds you of a hairdryer in a box or — worst case — of a chugging tractor. The solution? Technicians Martin Hoewner and Heinz Weierhorst have tackled the problem. And with their help my Synthex is even more attractive: The steel-built, very solid and remarkably heavy fan is gone! The attractive new power supply is less weighty, doesn’t run hot, even after hours of use. And it’s quiet. A fine improvement! You already know my opinion: the Synthex is a tremenduously great and somehow unique musical instrument. It’s a littlebit unreliable, that’s true. Very clean, sometimes over-the-top straight (DCO) sound, true as well. But: unbeatable wide tonal character in stereo-modus (you don’t even need the nice chorus)… that’s one specific sonical impression no other synth offers. Extremely expressive overall sounds, very user-friendly concept, great four-track sequencer … and many other plusses. Every keyboard player needs to find his personal favourite synthesizer. Some say the Prophet-5 is the ultimate analog beast (sometimes that’s true, no doubt!). 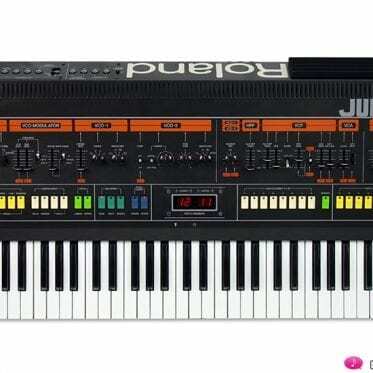 Others would never sell their Jupiter-8, no way! Those proud owners of a Memorymoog (especially of the Lintronics upgraded LAMM) will hardly imagine any better polyphonic analog synth. Well, we should not try to play off any synthesizers against each other… they are all very individual, and have their place in its own right. The ELKA Synthex is one of the great analog polyphonics, unbeatable in some way. When ever you’ve got the chance, play a Synthex and try to find out whether you like it or not. I do, that’s for sure. 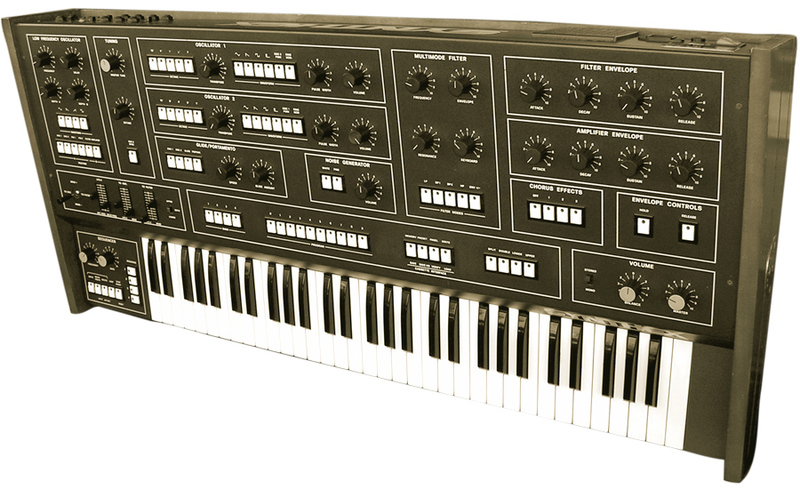 Update April 2015: the Elka Synthex seems to be staging a comeback! 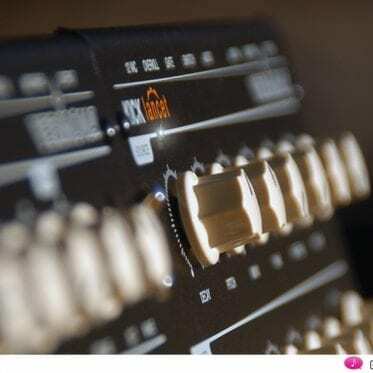 Finnish company Soundion Oy Ltd bought the bankrupt’s estate of GeneralMusic (Elka, GEM, LEM, …) and plans to bring back the Elka Synthex. Update July 2015: unfortunately, the Bring-Elka-Back refunding attempt was not successful. 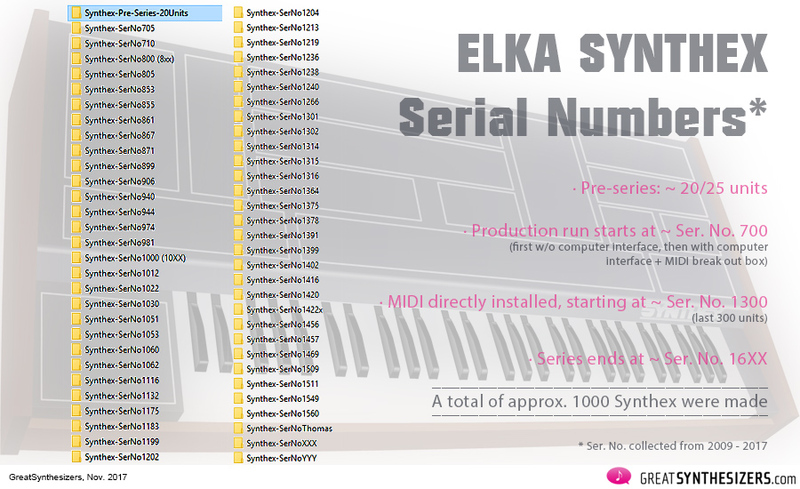 Soundion Oy Ltd stays tuned, thought … maybe a “new” Synthex project will bring Elka back to life one day! Ich hab das ja schon auf Facebook verfolgt mit Euch. Ich bin mit Kisten wie Roland 700, MS20 und einigen anderen musikalisch aufgewachsen. Ich hatte erst jetzt Zeit mir das mal näher anzusehen. Ich möchte Euch meine Hochachtung aussprechen. Besser und so aufwändig habe ich die Beschreibung eines “antiken” Synthesizers bisher nirgends gesehen. Wenn ihr so weitermacht, werdet ihr neben anderem das “Wikipedia” für die Synthsizergeschichte werden. Toll. we would like to thank you for the kind words. You are probably surprised that I am responding in english, but your nice comment is in the english section of our magazine and we would like to keep things separated. Well…. there is more to come. After reading the two instruments you mentioned I am quite optimistic that at least one more review can be of interest. 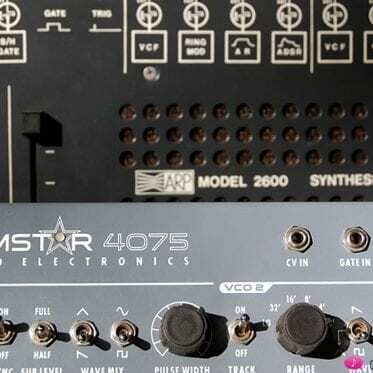 But we will also cover new analogue and digital synthesizers. It is an exciting time and this is just the beginning. 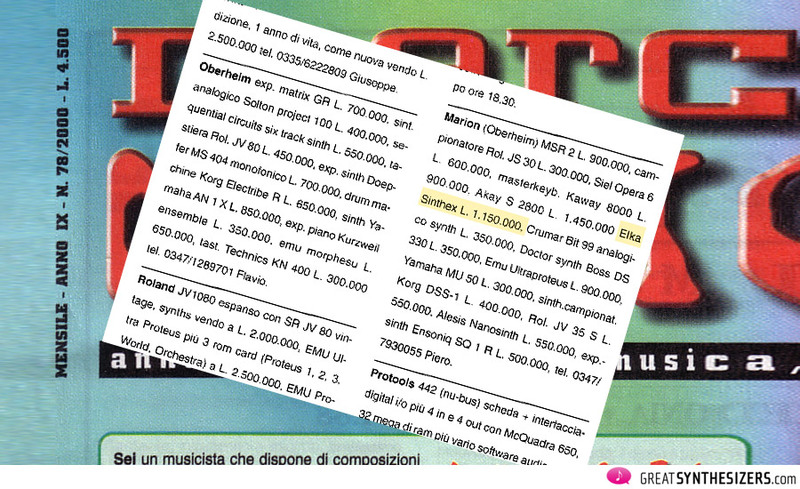 as you can imagine i’m italian and i was lucky enough to buy my elka at 1M lire , 500 eur , while it was at university , 1995 …. BUT i had to service it a few times,another 500 eur . i always scout the net in quest of tips for my synths and learn something new . Well … programming is always a little secret (o:). Yes, it’s all the Synthex sequencer that you hear in the demos. Be careful: the mix-soundfiles use a lot of gear, not only the Synthex. It’s also the Oberheim Two-Voice, the JD800, the AS RS-200 sequencer, etc. Ah yes, and congratulation … you’re a lucky musicians who got the Synthex extremely cheap. Would be nice to meet some day. I’m in Italy once or twice a year. feel free to contact me if you pass by , it’ll be a real pleasure to meet you. Im interesting to find a synthex to buy! I am considering selling my synthex. It has been serviced 3 weeks ago. If you are interested send me a PM. I am extremely interested in your synthex. Please give price and condition and pictures would be nice. I am in the United States. Where are you located? My cell is 941-380-1858. thank you! 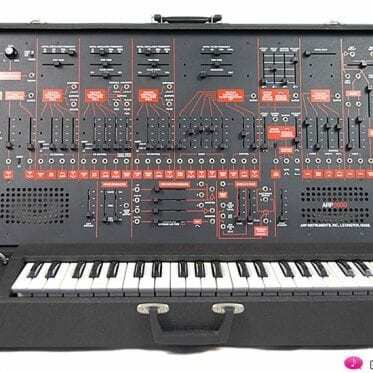 Hi Theo, a friend of mine has a Synthex with serial number 002.
thanks a lot for the info. I’m still not sure about the Synthex serial number system. There were a few pre-production models, so maybe #002 is one of those rare machines. In any way, there are no Synthex with ser. no. 1xx, 2xx, … etc. up to 6xx. The lowest ser. no. I know is 710. I hope that there are at least 1000 or more Synthex in existence … and if we’re lucky there will be a Synthex II … one day! Hi, i guess this #002 is the first run of 50 as Mr Maggi said in a rare interview for an italian magazine. As far as i can tell there were three production runs for a total amount of 1850 units. 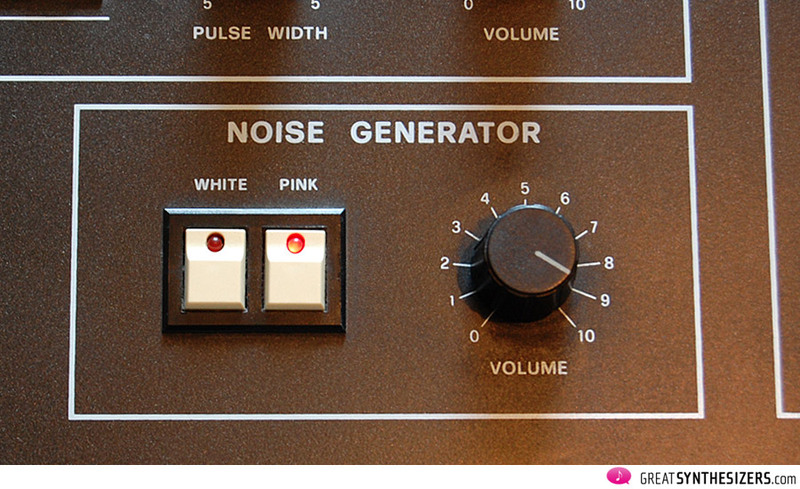 – No computer interface, satin paint knobs. I guess my Synthex is a pre-series/prototype because several details don’t match the “normal” Synthexes. – Four 16Kb eproms instead of three on CPU card (2x32Kb + 1x16Kb for presets). – Different cards shape and size. 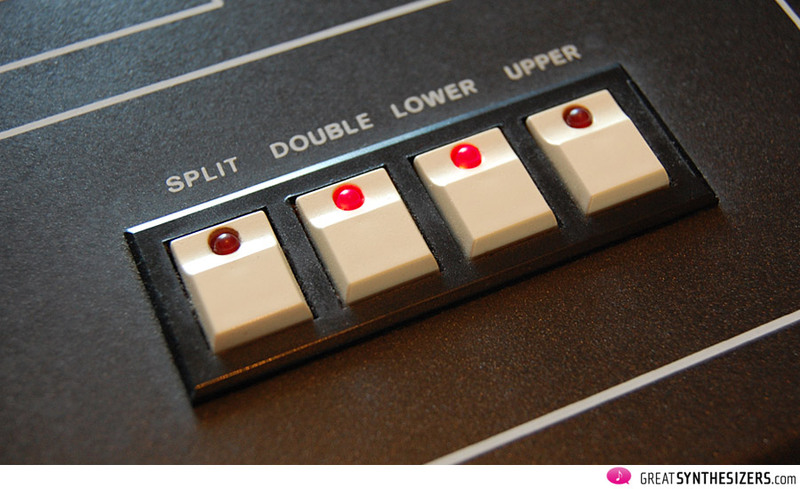 – One control led each voice card. – Schematics don’t match the card i have. Anyone know a good source for parts? What’s wrong? If voices don’t work properly it’s easy to uninstall voice boards and send the them to Virtual Music / Vienna. Recommendable Synthex technician! Im selling my synthex (version 2 with midi). Im in the United Kingdom and after £7000 UK pound if anyones interested? Me to. I want to sell my Synthex for about 2500 euros. Is the Synthex still available? 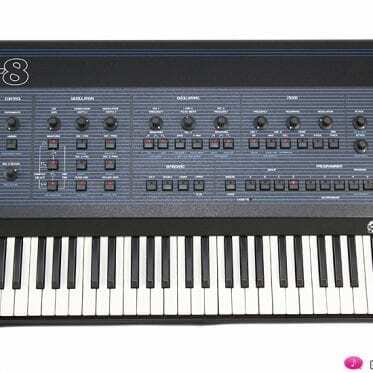 I want to buy a Synthex, do you still have yours for sale? Hi Ely, thanks Theo, have a Synthex just serviced and in perfect conditions, if need infos, pictures or videos don’t hesitate to contact me! Selling one for 8500 US$, shipped in the US only. Selling my Synthex in mint condition. I think Nord picked up on the stereo detuned voices idea in their Lead series, and as we know started as a Prophet-5 clone. I just read the article and I have to disagree that ELKA had not produced Professional instruments until the Synthex release. 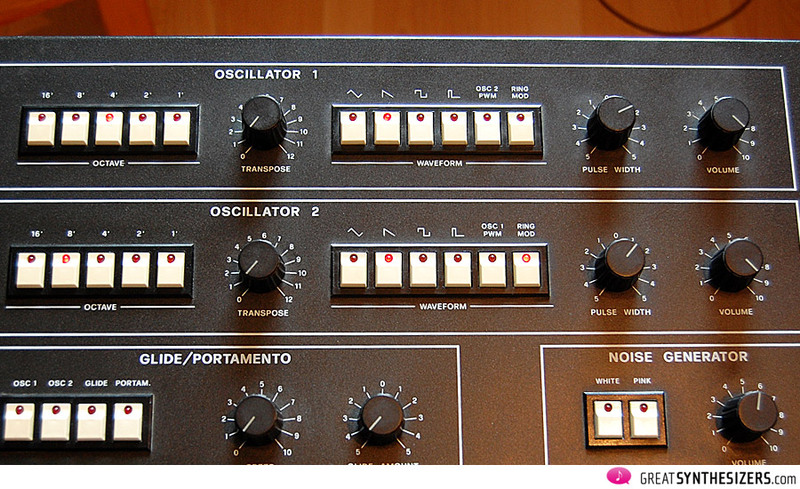 To be more specific there is another King in Analog Instruments produced by ELKA: the X-705. Neither a US company nor any Japan company has ever manufactured such an analog monster! We have to be more careful before we write an article regarding those old lovely instruments. You can find more info about the X-705 model on the internet. There are also some other special instruments from this company too. Hi all, if anybody interested i have a just serviced elka synthex for sale, perfect external conditions, comes with a new just placed factory elka midi in out thru box. The Synthex contains 703 integrated circuits, by my count. It just seems like a thousand. … enough in any way (smile). Thanks for the update! 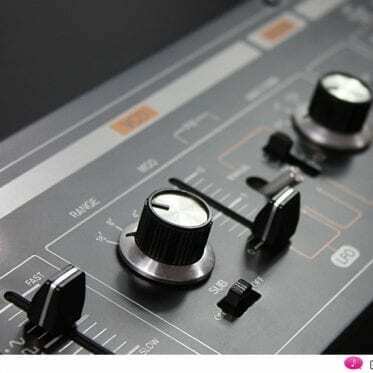 Elka Synthex is coming back! 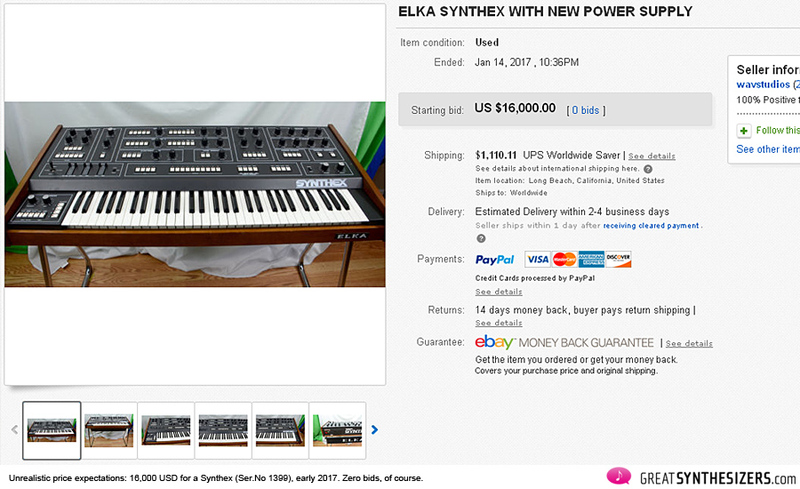 I have a Elka Synthex for sale. Serial : 705 that could be the top 5 Official Synthex ever made. If someone interesting, let me know by mail. Price: something around $ 8 000.
maybe i have a problem with my synthex (maybe because i don’t know if this is really a problem or all the synthex do this thing). The “problem” seems to be caused by the chorus. In some patches, when I turn on the chorus, the sounds become “crackly”(especially when i play more than 2-3 notes at the same time), and the “crackly” sounds desappears when I turn the level of both the osc anticlockwise (if both the osc level are setted to half, the crackled sounds never appear, but they re-appear when the osc lever is more than half). This effect does not happen in every sound, but especially when the cutoff is only a little bit opened and the resonance is more than 3/4, and sometimes in other patches when both the filter and resonance are opened. If I try to turn the osc level pots anticlockwise and clockwise (and when the chorus is on), this crackly sound appears and disappears (disappear when both DCO level opats are below center, and when the pot is totally turned clockwise, the crackly sound is more and more audible). this synthex had no problem since it was made in ’84,except for a broken voice(easily fixed 1 year ago by a technician). if you can give me the opinion of your friend would be great. This guy always posts unreliable articles like “the Elka never made professional Synths until Synthex”. 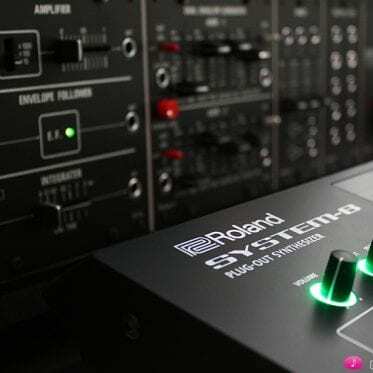 The truth is that Elka manufactured a lot of professional Organs, StringsMachines, Combos and Synthesizers, a long time before the release of Elka Synthex. … hi John. 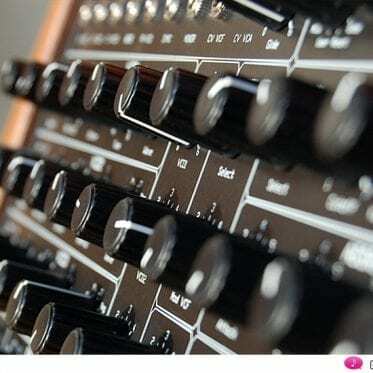 You’re right – there were many highly respectable ELKA instruments before the Synthex. Some of the X-organs are legendary, some of the string machines as well. But there was no polyphonic “pro” (analog) synth until the Synth came up. 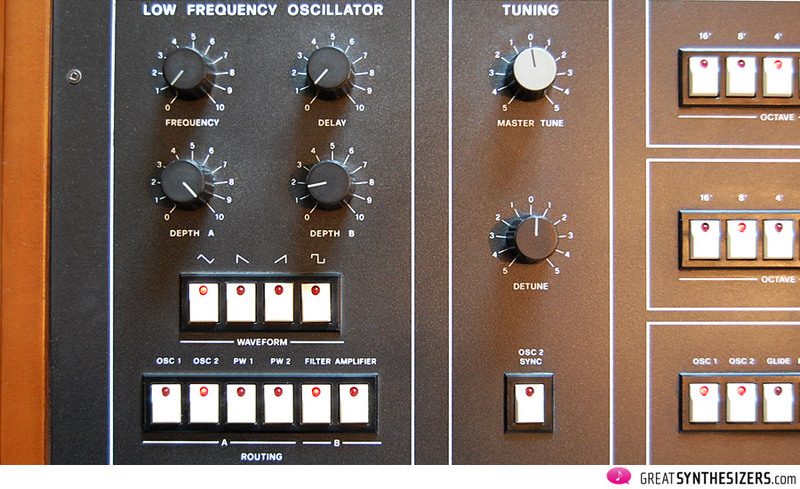 Musicians ignored this wonderful instrument … an instrument that lies in the Top-10 of classic analog polsynths today. To add my 2 cents here I have to mention that Synthex is the best Analog Synthesizer ever. You have to play with it to feel its power. Elka Synthex cannot be described with the specification and other comparisons. If you find one, sit down and play. 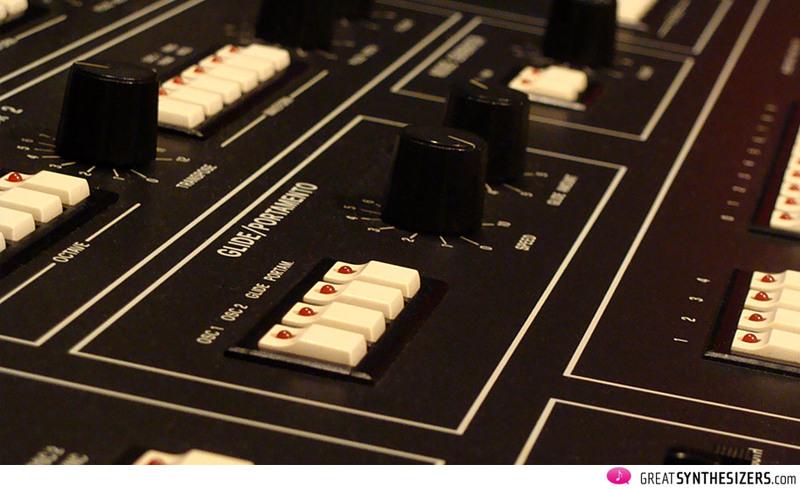 Whatever is your experience for the Synthesizers, the Synthex will change it forever.